Most reasonably technology-savvy consumers are well aware of the latest online scams and wouldn’t dream of clicking on a link in an email or being taken in by phishing scam sites on the internet. However, it might come as a surprise to learn that scams perpetrated by mobile phone are now just as pervasive as the typical email scam, and conmen are finding new ways of getting their hands on people’s hard-earned cash. It’s been revealed that mobile phone related scams are costing consumers a staggering five times more than scams that target PCs and laptops. Mobile phone security company AdaptiveMobile researched into the issue and found out that that most people are well aware of what to look out for when faced with spam emails, and that less than one in a million people are taken in by this type of scam. 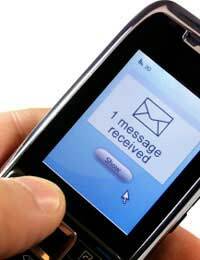 At the same time, it was discovered that many as one in 100 people who receive a scam message by text will fall for it, and the main reason they give for their lapses in common sense were that they simply were not aware of the dangers of scam text messages. Simeon Coney, Vice-President of Business Development at AdaptiveMobile, said that he believed the problem stemmed from the fact that mobile phones are very personal and that users tended to trust the communications they received via a mobile phone much more than they would an anonymous spam email. He added that although mobile phone operators are doing their best to combat criminal activities at ‘a network level’ it was up to mobile phone customers to also play their part and keep themselves safe in an increasingly mobile world. Some of the most popular mobile phone scams include trying to get phone users to connect to an website, or sending text messages asking people to call a premium rate number because they’ve won a prize. The popularity of smart phones makes this type of scam easier to set up and conservative estimates suggest that fraudsters could be making up to £7 million for just three days' work scamming mobile phone users.Three hi-tech fraudsters behind a hi-tech phone scam which cost O2 more than £2 million have recently been sentenced to five years in jail. Three men were behind a complex fraud which scammed mobile phone users. They set up a company called Pixonyx Ltd, which provided phone lines for costly international phone calls, then managed to steal unsuspecting phone users’ identities and credit card details, which enabled them to create hundreds of new mobile phone contracts with O2. They were sent phones and sim cards for the fake mobile contracts, and used them to dial the expensive premium rate lines they’d set up using Pixonyx, making calls to countries such as Latvia, Zimbabwe and Cuba. O2 was forced to make payments to Pixonyx for the calls. When profits dipped, they made even more money from selling on hundreds of the handsets they’d fraudulently obtained. In nine months, O2 estimates it lost £2.17 million through the scam, making the fraudsters around £410,000 from payments for the calls and £100,000 from handset sales alone. The three men were trapped by City of London police after they traced the calls. They were found guilty of conspiracy to defraud O2 and each given five years in jail.